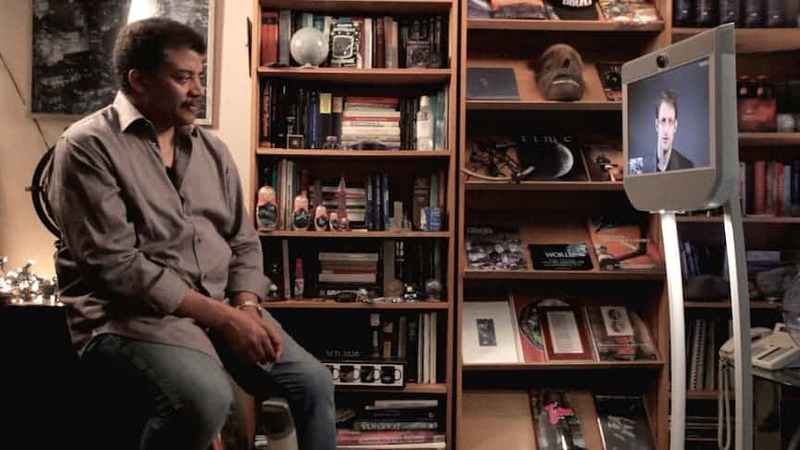 The biggest pariah of the century, NSA whistleblower Edward Snowden, had a “geek to geek” hour long talk with Neil DeGrasse Tyson, part of the StarTalk radio show. The two had an interesting discussion about lots of stuff from science, to chemistry, to space. Even 9/11. It’s worth mentioning that Snowden made his presence felt through a robotic telecomm machine which he remotely controlled from Moscow, his asylum. Perhaps, the most interesting moment from the episode is their chat on encryption, a topic where Snowden is particularly an expert. It’s so obvious I’m surprised I’ve never heard this idea before: the reason why we’ve yet to pickup any messages from an intelligent extraterrestrial species might be because this data is encrypted. This also qualifies as a possible solution to the Fermi paradox. Confronted with a nearly limitless universe billions of years old with an almost infinitely vast number of opportunities for life, the Italian physicist Enrico Fermi, sitting for lunch at Los Alamos with three colleagues in 1950, asked a question that still perplexes everyone who looks up at the night sky: “Where is everybody”? There’s nothing special about our sun – it’s young, medium sized and similar to billions other in our galaxy. It’s believed there are between 100 and 400 billion planets in the Milky Way. Considering intelligent life appeared in one of these (Earth), it’s reasonable to consider there should be at least some other kind of intelligent life elsewhere in the galaxy. Millions of years of technological progress means that an intelligent species should have the capability to travel to distant stars and even other galaxies. Just look at how our worlds has changed in the past 100 years. According to mathematicians Duncan Forgan and Arwen Nicholson from Edinburgh University, self-replicating spacecraft traveling at one-tenth of the speed of light — admittedly a quick speed — could traverse the entire Milky Way in a mere 10 million years. This means that a civilization could potentially colonize the whole galaxy in a mere couple million years.